We had a very successful #GivingTuesday with $18,425 raised for new Chromebooks! THANK YOU! We are now at 65% of our Annual Fund goal! #GivingTuesday kicks off our end-of-year campaign! If you haven’t yet made your gift, we hope you will help us reach 100% participation in the OSA Annual Fund! Join fellow OSA community members at the Student Center on Sunday, December 9 from 9:30 am – 12:00 pm for pastries, coffee, tea, and calls! We will be reaching out to families who have not yet given to the Annual Fund. We are asking for $2,250 per student, but ANY GIFT of ANY AMOUNT makes a difference! Book Drive for Camp Fire Victims in Room 316! Stories are a balm for the grieving heart. Many young people in Paradise, California lost everything in the Camp Fire a few weeks ago – including their books. Students may donate an awesome book (or two! or three!) to the collection in Ms. Bush’s room to help provide a much-needed mental escape for kids of all ages in Butte County. The book drive runs until Friday, December 7. Superlative Nominations: HS Leadership is asking students to take the time to nominate people for this year’s yearbook superlatives! Nominations are for one student, teachers, and groups of 3 to 4 students for this year’s selection! Students have access to the link via your English teacher’s Google Classroom. Submissions will close December 21 at 11:59 pm. Have fun nominating! The Oakland Symphony is proud to announce the launch of Hall Pass, a new program that allows the Symphony to offer free tickets to eligible community members facing financial challenges. Symphony Hall Pass holders can receive up to four (4) FREE tickets for all Oakland Symphony performances. Members of our community receiving financial assistance from the State of California as well as Active, Guard, and Reserve Military households. How Do I Get My Hall Pass? Hall Pass cards are available from a number of our community partner organizations. Visit the Hall Pass website for more information and a list of current Community Partners. How Do I Use My Hall Pass? 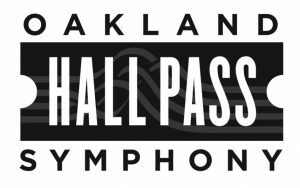 Once you’ve received your Hall Pass card, simply contact the Oakland Symphony box office with your Hall Pass ID number to reserve your tickets! Kaleidoscope, a celebration of diversity and color produced by San Francisco’s Circus Bella, will take place in a big-top circus tent on Treasure Island starting November 30. Kaleidoscope will showcase aerialists, acrobats, jugglers, high wire artists, family foot jugglers, clowns, and more – all performed to original music written by local music legend Rob Reich and performed by a live band. Kaleidoscope runs November 30 through January 6, 2019. Shows are on Thursdays and Fridays at 7:30 pm, Saturdays at 1:30 and 7:30 pm, and Sundays at 1:30 and 6:30 pm. Tickets start at $39. Use Promo Code OSA2018 at www.circusbella.org/kaleidoscope.